The DCT350 gear box processing technology is National standard GB/T 10095-2001 grade 4-8 (or German standard DIN grade 6-9), (or Japan standard JIS grade 0-4). The highest precision of gears processed by grinding can successfully reach grade 4 for national standard, or grade 6 for DIN, or grade 0 for JIS. 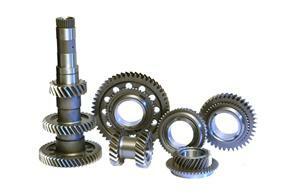 High precision gears for engineer and transmission. M: 1-6mm, Z: 8-300. Plate gear diameter: 20-500mm and with the tooth width of 5-100mm; shaft gear diameter: 10-150mm and with the length of 10-600mm. We have introduced the French ECM low pressure vacuum carburizing furnace and the single and double row continuous carburizing automatic production line of the industry leading company Wind, and received the TS16949 international quality system certification. The quality of our heat treatment can meet the need of domestic and international customers. Our products are applied to some of the world’s largest car brand manufacturers. 3) We can produce custom made DCT350 gear box for you. 5) DCT350 gear box have very competitive prices and satisfactory service.